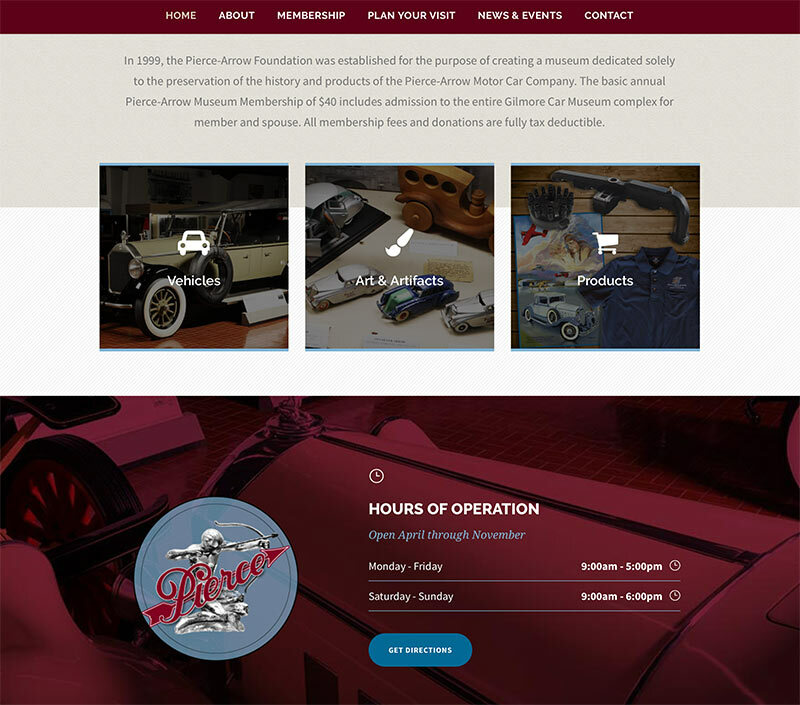 Designing a website for a nonprofit museum filled with gorgeous, rare, and historic vehicles was a treat! 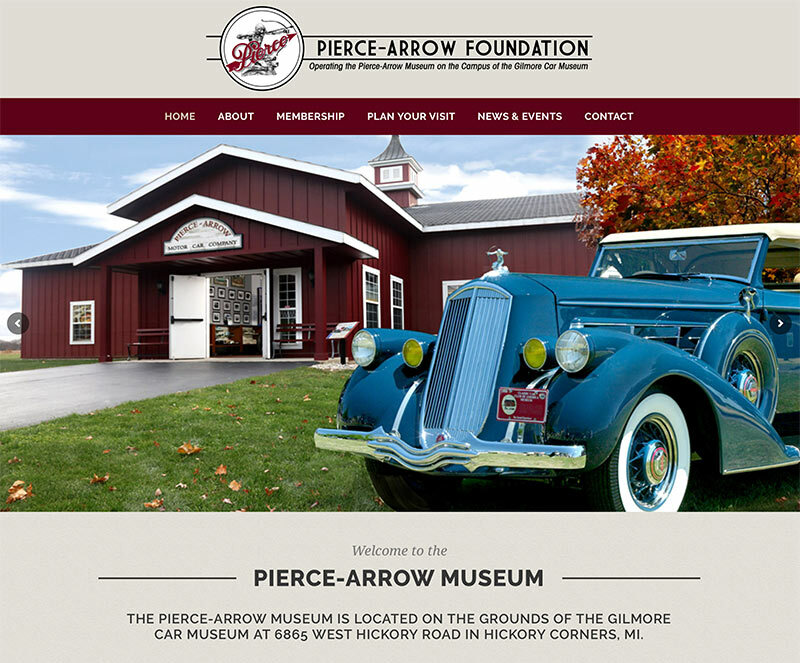 The Pierce-Arrow Museum is located on the grounds of the Gilmore car museum in Hickory Corners, Michigan. 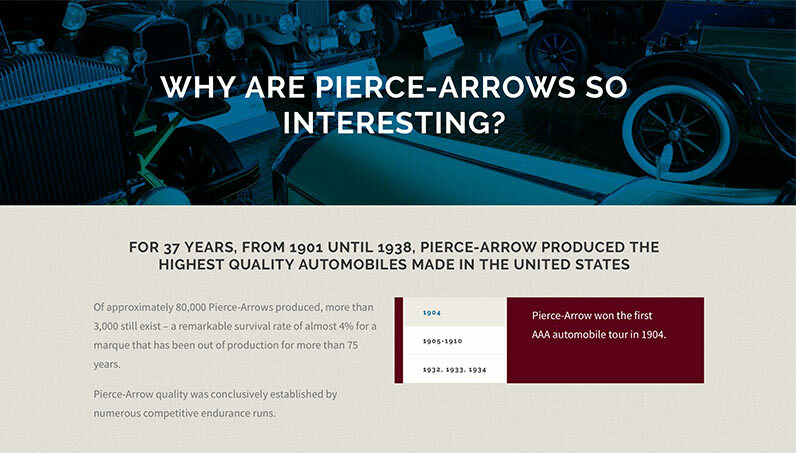 The museum usually has at least two dozen vehicles on display as well as art and artifacts. The old website was not easy to maintain without a content management system in place. 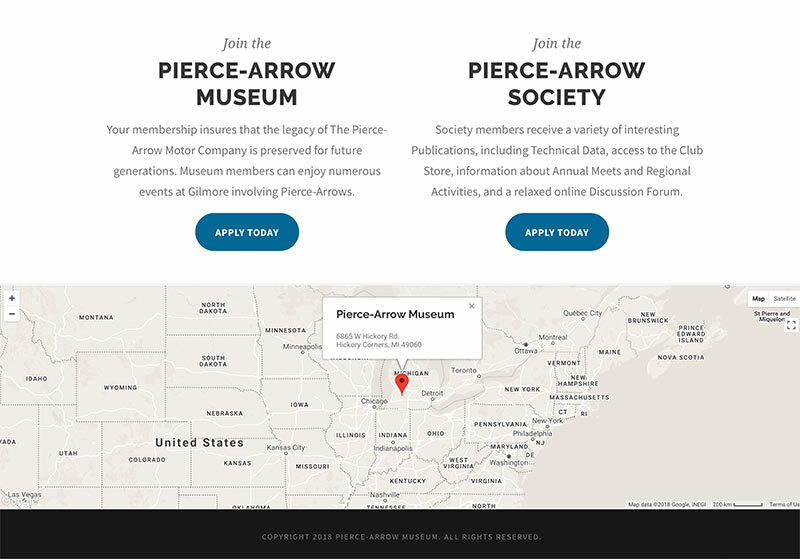 The new website was built with Wordpress and makes adding new events, features, and visitor information a breeze!